An established favourite for many guests, the Aviation Club offers a very special day out in a relaxed, informal environment. 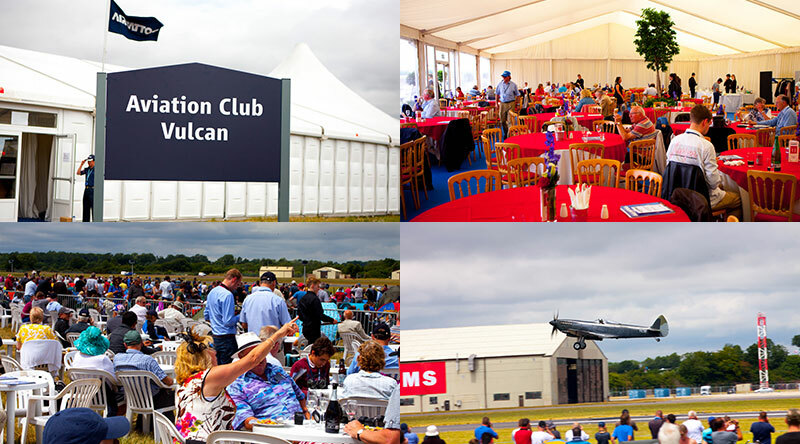 No more than a 10 minute stroll from the Guest Car Park you will be welcomed, on arriving at the Aviation Club (located just back from the crowdline), by our hosting team and shown to your allocated seat at a shared lunch table, yours for the day. The private garden and grandstand provide an ideal location for watching the flying display and inside the marquee a cash bar serves everything from soft drinks to champagne. Please note. Children aged 5 and over require a ticket for the Aviation Club, children under the age of 5 are not permitted in the Aviation Club. No scruffy/torn jeans or sportswear are permitted within the Aviation Club. Please be aware that the grass length in the enclosure may be long as part of the operational airfield management of bird populations. Smoking (including vaping) within the Enclosures is only allowed in Outdoor Designated Smoking Areas, as determined by the organisers and indicated with appropriate signage and is not allowed in any event structure at the Air Tattoo. Enclosure packs will be sent out from mid-May onwards. 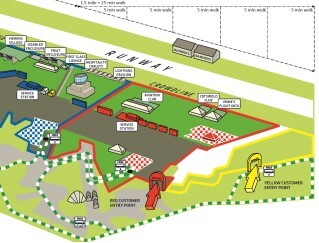 To compare the Aviation Club with our other enclosures, please click here. "The catering in the Aviation Club was excellent"
"Aviation Club was exceptional, very clean and well presented. excellent and friendly staff with lovely and plentiful food....Made the day for me"
"Thoroughly enjoyed our day in The Aviation Club"
"My wheelchair using friend commented that the disabled toilets at the Aviation Club were one of the best he had ever used, and was very impressed"